Offering Coin Collectible Coins Gold Coins Silver Coins Mint Sets Coin Collecting Guides Coin Reference Books US Coins World Ancient Coins and more with easy online ordering. First published in 1942, the Blue Book is the annual reference book that coin collectors across the country look to for the average prices that dealers will pay for their coins. The coin values listed within are compiled from data supplied from more than fifty contributors around the country, providing by far the most reliable information. 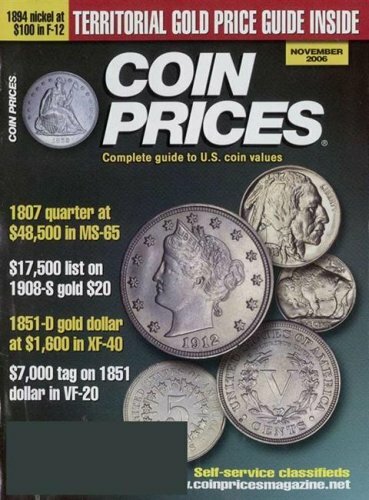 Fully illustrated with detailed photographs of hundreds of actual-sized coins, this handbook contains mint records and prices paid by dealers for all U.S. coins from 1616 to the present time, including Colonials, Regular Issues, Commemoratives, Territorials, Gold, Proof Sets, and Mint Sets. It also includes basic coin collecting information such as how coins are produced, mints and mint marks, grading of coins, location of mint marks, preserving and cleaning coins, the history of mints, and detailed descriptions of all U.S. copper, nickel, silver and gold coins. Whitman Coin Products is proud to offer the collector a new deluxe 50-state commemorative quarter coin folder. This ten-year coin folder provides 100 coin slots, one for each Statehood Quarter from both the Philadelphia and Denver Mints, and is the only way to collect all 100 quarters in a single coin folder volume. Information on when each Statehood quarter is released and educational state facts such as state capitals, flowers, songs, and nicknames are included in each folder. The folders open flat for all-at-once viewing and have protective flaps that prevent the coins from touching. This updated eighth edition of the most comprehensive world paper money reference ever assembled fully documents legal tender paper currencies issued and circulated by more than 376 note issuing authorities. More than 175 experts in the paper money field have priced more than 11,200 notes in three grades of condition. More than 7,300 clear photos and illustrations aid in identification. Updates include extensively revised prices, newly discovered issue dates/listings, and an exciting new color photo gallery. A detailed user's guide and references help collectors better understand more of the paper money collecting hobby. The references provide grading terms, dating information, foreign language references, exchange tables, a glossary, and indexes. This one-of-a-kind guide virtually revolutionizes the coin-collecting business. Now, for the first time ever, here is a coin-grading volume so complete and so advanced that it explains, illustrates, and, indeed, sets the standard for grading Mint State coins. Precise and meticulously accurate descriptions accompany lavish illustrations, including a 48-page color insert. With more than half a million copies sold since its first edition, the American Guide to U.S. 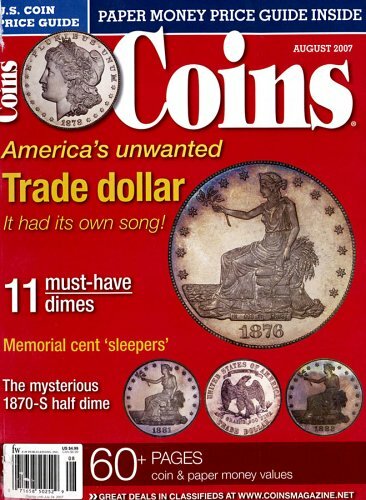 Coins is the essential resource amateur collectors consult for reliable information and prices. Now fully revised and updated with the most accurate prices and brand-new photos, it is one of the most comprehensive coin guide series available today. And the 2004 American Guide to U.S. Coins also brings you up-to-date on the 50 State Quarters™ Program -- the most ambitious and anticipated U.S. Mint initiative of the millennium. The Handbook of Ancient Greek and Roman Coins combines the two main references that collectors have depended on for nearly forty years in the study of ancient Greek and Roman coins. The book touches upon every aspect of ancient coinage, from how the pieces were made to what their symbolism meant to the people who used them. It contains all the information needed to properly identify and attribute coins to that era. Beginning and advanced collectors alike will benefit from data, charts, and more than 1000 full-size photographs that depict the actual coins and show how to interpret dates and inscriptions. 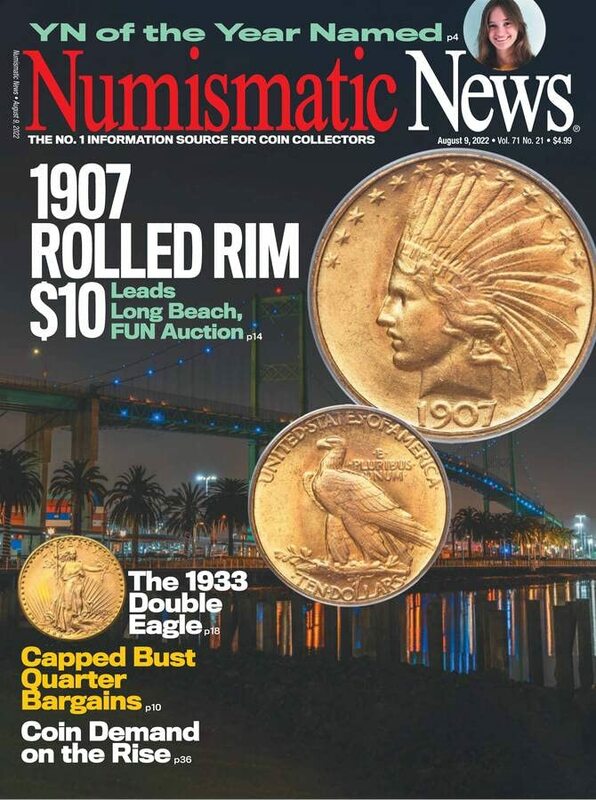 Kenneth Bressett, the former president of the American Numismatic Association, has written a clear, detailed guide that gives an insider's view of the fascinating world of coin collecting. 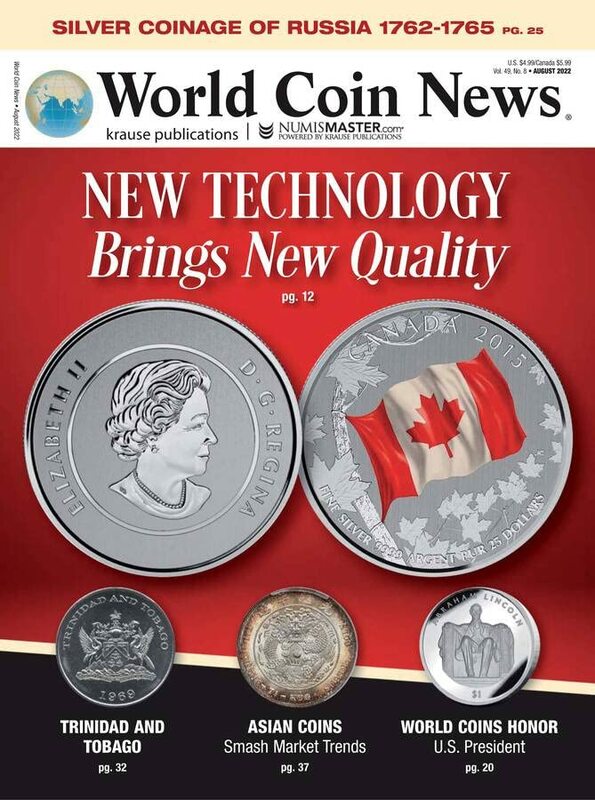 Coin World is the most respected and widely read weekly in the entire coin collecting field; even the U. S. Government relies on their database for accurate historical information. This revised 2nd edition now includes newly discovered rarities--coins not catalogued anywhere else! It features up-to-date values, including stunning all-time high auction records, and new, sharper, actual-sized photographs of more than 800 coins, for easy and accurate identification. For the best deal on Old Coins and Coin Supplies visit my friends at Jake's Marketplace, Inc. Looking for a Good Quality Magnifying Glass? Extensive Selection of Coin Supplies at Discount Prices!